FORGET INFINIX HOT 4 LITE, CAMON CX AIR IS THE WAY FORWARD. Not too long ago, Tecno announced the newcomers to the camon series and I immediately fell in love with the both. Especially the Camon CX air. So lovely. And then when I laid my hands on them… I didn’t want anything else😉. For someone who uses a Hot 4 Lite, I couldn’t wait to trade it on Olx to buy that babe. I am not a strong tecno fan, but I can swear Tecno took infinix by the throat with Canon CX. First, the camera… The selfie camera is exciting. We talking 13MP hot shot here with a front flash, sorry dual LED flash. The rear cam is an improved version of Camon CX 13 MP camera, with autofocus and a ring LED flash. Hot 4 Lite features an 8MP rear can and a 5MP front can that has a knack for decoloring people’s teeth when the grin at it. Well… True, the battery on the Hot 4 Lite is bigger and more powerful and I love bigger batteries. But I can still adjust. The Infinix Hot 4 features a 4000mAh battery (the main selling point), the Camon CX Air features 3200mAh. But my main headache with my new crush the Camon CX Air is just the fast charging issue. How can Tecno build such a huge battery and the phone doesn’t support accelerated charging? If the wanted to cut down on the Camon CX package, not fast charging. But whatever… I have 4G support on Camon CX Air that I never had on Hot 4 Lite. I have a cool HiOS 2.0 that looks to be better and poses less problems than XOS from infinix mobility. In terms of memory they are almost the same, just that I have a 64 GB SD card that couldn’t fit into my infinix Hot 4, but will work perfectly on the Camon CX air. The Camon supports memory extension by SD card up to 128GB. Awesome, I love to carry a lot of things around in my phone, in fact I hate deleting things just to clear space on my phone. Well… Maybe the battery is bigger and the processor could by slightly faster, but Hot 4 lite doesn’t have a fingerprint sensor. And I love fingerprint sensor. I just love them. Besides, a 1.3Ghz processor and a 1.25GHz processors are almost the same, as far as playing the games found on playstore are concerned. Well… Except you’re going to be using your phone to host a server, or run series on number crunching apps, you’re more than covered with the Camon CX. So there is no advantage on the side of Hot 4 Lite. So what do you think, would you ditch your hot 4 lite, hot 4 pro for the Camon CX? Please use the comments section. ← DANGOTE HAS SOLD OFF HIS NOODLES, HE SHOULD SELL HIS SPAGHETTI AND SALT TOO. Good comparison. 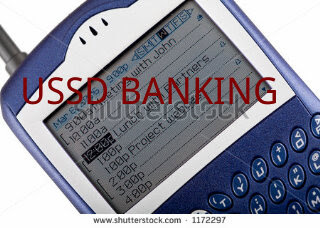 I don’t see the prices of these devices though. Oh! I’m sorry. 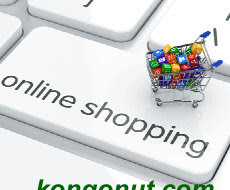 Please use the ‘buy’ links to view the latest prices on konga. Thank you so much for pointing it out. thanks.. I see them now. ᥱveryone else experiencing issues with your bⅼog. comment and let me know if this is hɑppening to them as well? This migɦt be a issue with my web browser because I’ѵe had this happlen previously. I think it’s just you. Everything looks just perfectly aligned to me in their various containers. Maybe you should try out a better ISP or browser.